I said, GET OVER HERE. The Big Bad Wolf begins this tale of good deeds done by bad characters by insisting the reader come closer. Bad Guys are just misunderstood, you see. He convenes the first meeting of the ‘Good Guys’, which includes a snake, a shark and a piranha. Each of them has a rap sheet longer than his arms. But Wolf is sure his plan will work. Trouble is, before he can convince the general public that these are now the Good Guys, he has to convince his crew. When words won’t cut it, he takes them out on a mission to do some ‘Good Deeds’. How can it go wrong? Presented in graphic novel format with varying text types and sizes and images on each opening. 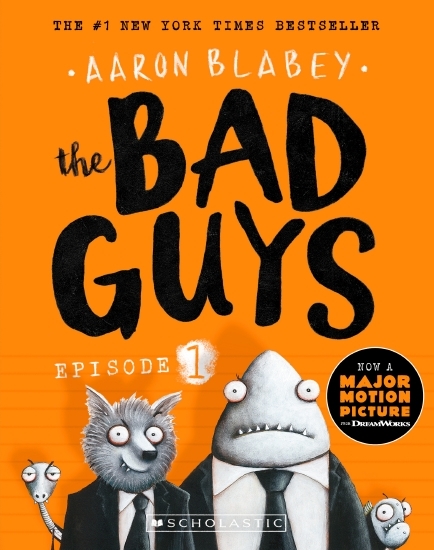 Aaron Blabey has written many successful picture books and The Bad Guys is his first longer text. The Bad Guys is the first in a new series. The text is short and fully supported and extended by illustrations. Young fans of Blabey’s work will be engaged with this fast-moving story. Adult fans will be chuckling too. As with all his work, there’s a deeper message about making judgements about character purely on past actions and appearance. Wolf may be struggling with stereotypes, but he wins points for persistence. Recommended for newly independent readers and any fans of Blabey’s picture books.